Join us in looking forward to a true plethora of innovations. At CeBIT 2014 from 10 to 14 March, we will introduce a number of innovations that facilitate collaboration and improve data security. With the theme “We connect worlds”, you will be able to learn more about the coexistence of IBM and Microsoft solutions, and the interplay of email and business applications with modern collaboration and social business platforms. In addition, there are also exciting innovations regarding email security! iQ.Suite Watchdog FileSafe will make its exhibition debut. The innovative security solution facilitates sending confidential and large email attachments. The key term email work-life balance has been guiding our email experts, who dedicate themselves to the vicious cycle of data flood and private life. If you are planning to switch from IBM Domino to Microsoft, Easy Move is the ideal solution for you. In collaboration with our partner ACP, we will help you conduct the conversion of your email infrastructure. Our expert representatives will consult you directly at the stand! GBS AppDesigner will be another highlight. It makes the creation of web applications and the integration into IBM Domino/Connections and Microsoft SharePoint a breeze. The analysts at Experton Group have already placed the solution in the ‘Leader’ quadrant of the Social Business Vendor Benchmark 2014. 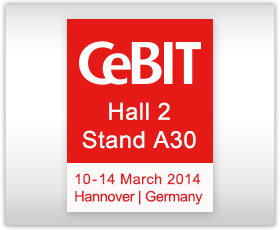 Join us at CeBIT in Hannover, Germany, in Hall 2, at Stand A30 – we look forward to meeting you! Your personal admission ticket is waiting for you. Matthias Krieg looks forward to receiving your request at matthias.krieg@de.gbs.com or via phone +49 721 4901-1186. 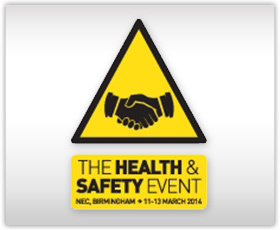 The Health & Safety Event launches at The National Exhibition Centre (NEC) on 11-13th March 2014 in Birmingham in reaction to significant demand from both visitors and exhibitors. This new, 3 day Exhibition and Conference is co-located with established exhibitions including MAINTEC 2014 and Facilities Management 2014, guaranteeing attendance from thousands of manufacturing, construction, commercial and public sector businesses. GBS experts will present the FastWorks Compliance Software solution for Health and Safety, Environmental, Quality and Risk Management. Come and visit them on Stand C34 and let them showcase the FastWorks solution, introducing the great new features of mobile off-line working which really demonstrates how they are “Bringing Compliance to Life”. Ask about our cost-effective cloud solution, which not only takes away the headache of IT administration but comes ready mobile enabled. Mark your calendar and register today – it’s free! “The IT innovation award does not only reward the best innovations, but also provides a space for those to meet, who are actively creating our future and who inspire us with their ideas”, says Dr. Oliver Grün, president of Bundesverband IT-Mittelstand e.V. (BITMi, the German federal association for mid-sized IT companies). Since 2004, the IT innovation award has been presented by publishing company Huber to honour the highest achieving technology companies. Independent judges, who represent both the corporate world and academia, will decide at CeBIT which solution best meets pre-defined criteria, such as innovation value, purpose, and appropriateness for mid-sized companies. With GBS AppDesigner, we have jumped the first hurdle. Now, we keep our fingers crossed! GBS AppDesigner 2.0 is now available. The new version not only facilitates the creation of applications, but also the interplay with web application servers. Please note: GBS AppDesigner is not available for download. If you are interested in a trial installation, please direct your requests to your GBS sales partner, or sales@de.gbs.com. However, this termination does not apply to Avira SAVAPI Version 3.4, and thus does not affect us, our clients, or partners. The Anti-Virus Engine (SAVAPI) responsible for iQ.Suite Watchdog will also continue to be supported by the operating system Linux. 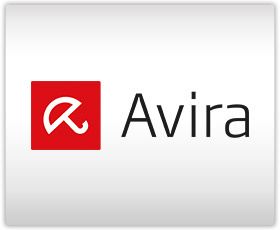 Avira has confirmed this in writing for the period until 12/31/2016 at the earliest. IBM Notes 9 Social Edition now offers a number of possibilities to simplify daily work processes and comprehensively accelerate recurring tasks. One of them is a new toolbar, in which emails and calendars can be displayed. Used correctly, this can result in a significant increase in productivity. In the following example we will show you how to take full advantage of this toolbar. In order to ensure that the recent virus patterns and engine updates are available in a timely manner, we have relocated the site of the Sophos update server. This requires new IP addresses. Please direct your questions to our support at hotline@de.gbs.com or support hotline: +49 (0) 180-6490111.